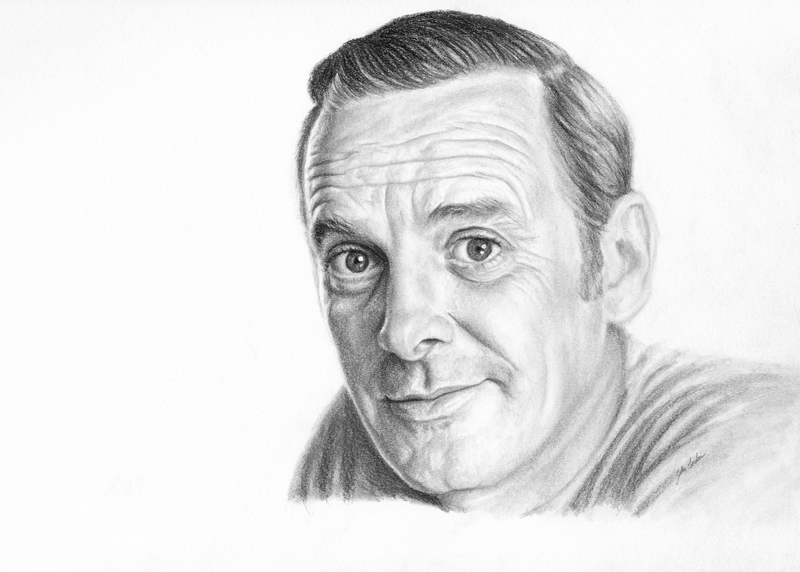 The above is a portrait drawing of user / Xyphius’s grandfather on RedditGetsDrawn. I chose to draw him because I liked the lighting in the photo. There was just something about his look that caught my eye. I also think he looks like a combination of James Caan and Sean Connery, but that’s beside the point. I really like the way this turned out. I especially like the shading contrast on the forehead. The back-lighting on the left side of the face added an interesting element. I used graphite pencils (8B-4H) and blending stumps to draw this. It was drawn on 9×12-inch Strathmore 300 Series drawing paper. RedditGetsDrawn is a community for people who want to get drawn and artists who want to draw them! Anyone can post a photo of themselves or a loved one, and artists like me may choose to turn that photo into artwork. Everything is done on a volunteer basis, and there is no guarantee that a person’s image will be chosen by an artist. Different people use RedditGetsDrawn for different reasons. I use it as a way to sharpen my skills, try out new mediums, and experiment with different techniques, all while providing high-quality custom artwork to those who may not otherwise have access to it. John Gordon is an artist based out of Denver, Colorado, specializing in portraiture and realistic drawings. After receiving his bachelor’s degree in finance from Purdue University, John moved from his home in rural Indiana to Colorado to further pursue his career. While his background is in finance, his passion has always been, and always will be, art. With his drawings he works to preserve memories, capture relationships, and illustrate meaningful moments. With a belief that great art, and images that capture stories, should be available to everyone he works hard to provide affordable custom drawings to his clients. He is an artist by trade, an art aficionado since birth, and is devoted to bringing great art to more people. For more information on affordable custom drawings visit his contact page here. Check out John's other websites!